2012.07.04 元同僚たちと初対面、そしてオックスフォード / Meeting my ex-colleagues for the 1st time and Headington. 2012.07.03 イギリスはやはり・・・雨 / It's raining in...UK! The weather was... bad again today. Well, it was according to the forecast. ZIa rent me her mobile phone and I called the BMW Dealer "North xford Garage" in the morning. They said they were fully booked out for next 2 weeks! I asked if I could use their garage space to change engine oil. And they said for just changing engine oil and a filter, they could make a time for me. So I went to the garage. North Oxford Garage is a BMW car and motorcycle dealer. They were really professional and friendly. Very nice, indeed. I really thank them to make a time for me when they were really busy. They changed engine oil and the filter, then did free safety check. Also they gave Esperanza free washing! I wondered when was the last time I gave her a good wash with detergent. I remember I gave her a wash in El Calafate and Yguazu, but I did not use any detergent. It could be in Sucre! Wow, it's been a long time!! Well, after the good wash, it rained again on the way back home... as predicted. 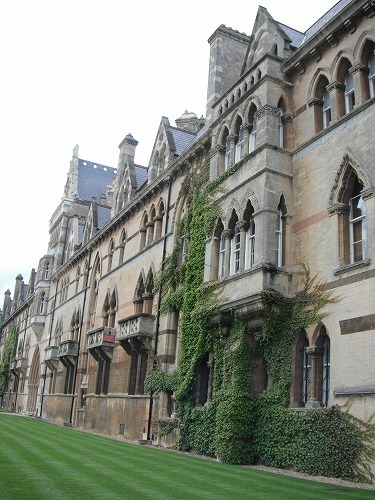 Back home, I talked with Zia for a while and she took me out to Oxford sightseeing! We visited an old church first. 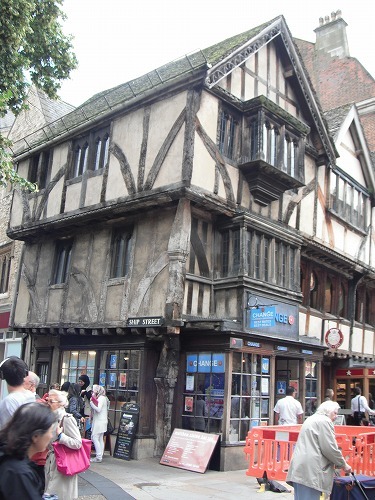 This is one of the oldest building in Oxford. It's pretty, isn't it? 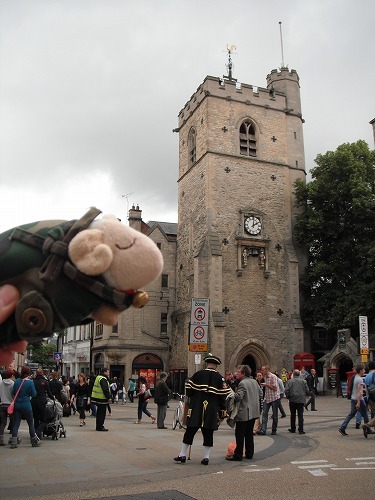 Actually, the church tower next to the buidlng was the oldest one inOxford. 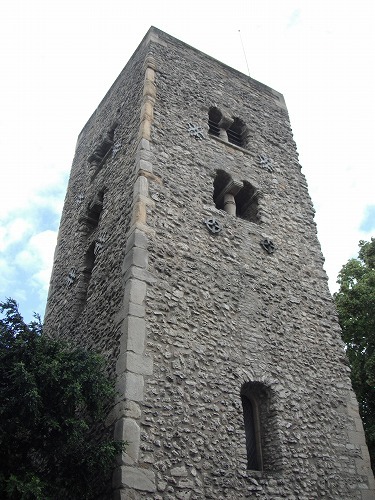 It was built by Saxon more than 1,000 years ago! We had lunch at a pub. 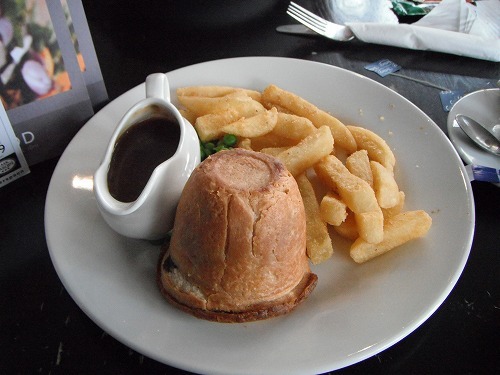 I had "Steak & Kidney Pudding". Very British, indeed. It tasted like a meat pie and I really liked it. 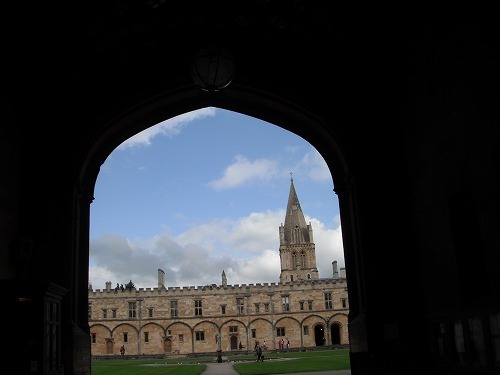 Talking about Oxford, we canot miss Oxford University. 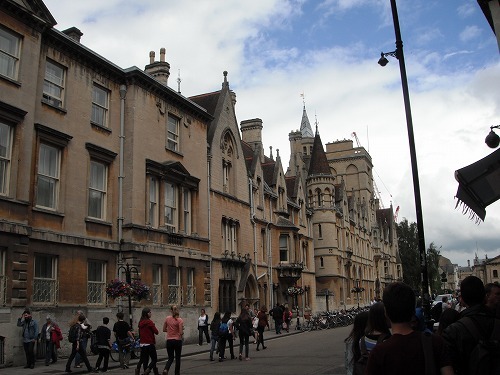 I thought the university will have a huge campass area but in fact, they have many collages and buildings thoroughout the city of Oxford. This is Christ Church. 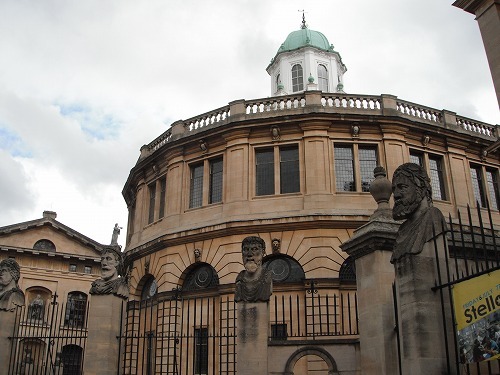 It is a part of Oxford University. The Bridge of Signs. Why is it called "Sighs"? Well he origianl one is in Venice called the same (in Italian "Ponte dei Sospiri"). 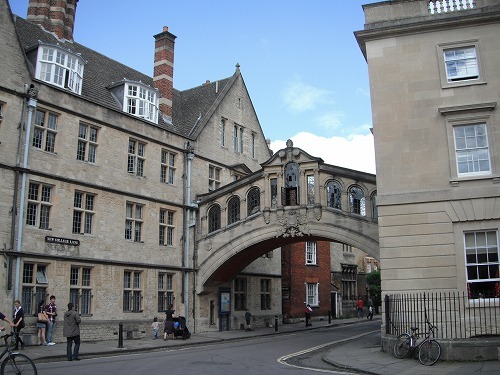 The bridge in Oxford looks like one in Venice, so People started call the bridge in this name. 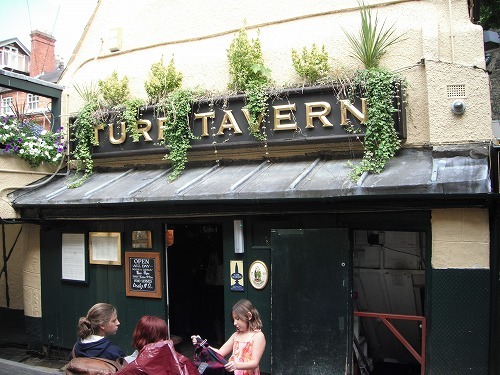 Then we visited the oldest pub in Oxford "Turf Tavern". 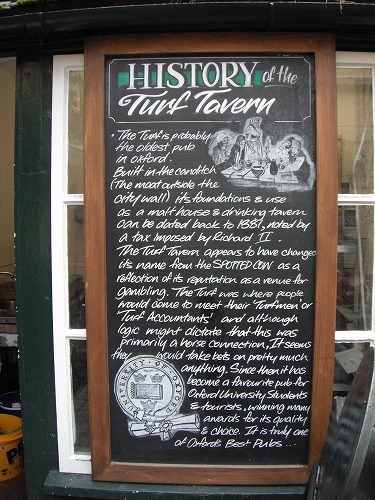 The history of this pub coud be dated back to 1381!! We caught a bus back home and I was updating the blog in English. We had "Roast" dinner!! 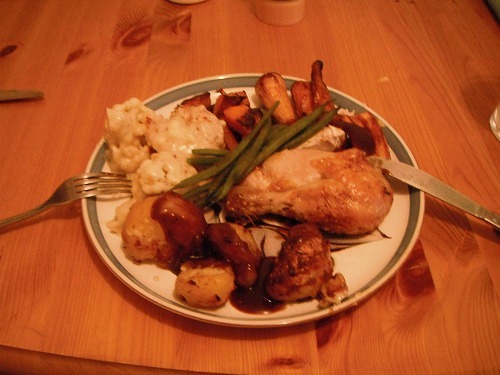 Roast chicken, potatos, and vegies with gravy sauce!! Very, very British! 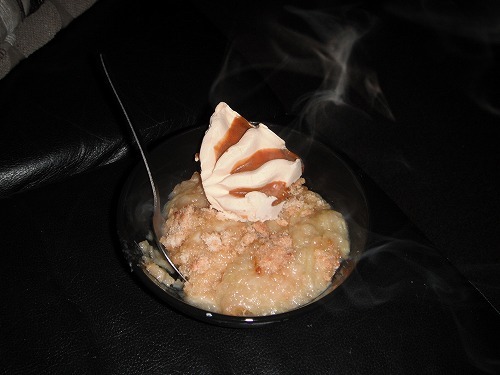 Apple crumpet was served as a desert. Graeme and Zia did make my wish "Having very British meals" come true! I am really lucky as Ruth served me with Bangers & Mash with Yorkshire pudding and here I had Fish & Chips with mashed green pea yesterday. I am still deciding if I am going to Edinburghor attending Horizons Unlimited meeting in Ripley, Derbyshire tomorrow. It all depends on the weather tomorrow. If I am attending the meting, I might not be able to update the blog for 1-2 days as there would not be any WiFi on the campground. 元同僚たちと初対面、そしてオックスフォード / Meeting my ex-colleagues for the 1st time and Headington. It's raining again! According to the wather forcast, it will be raining whole week... Yes, I'm in UK, this would be normal?? But I heard in July it should be better weather usually... I thought I bring the sun everywhere I go, but it'S not happening here! We got to the office just after 9am. Unfortunately I cannot put any photo of the office. I left the work at the end of 2009, so it's been more than 2 years and half! I could hardly believe that I was at Bournemouth office instead of Sydney office!! I registered as a visitor at a reception and went into the office. Andrea, Marco, Alex, Tracey, Joanna, Cristel, and Chris, the most of team member are still there! I had never met them face to face, but everyone welcame me! While I was working in Sydney, we often communicated via phone, e-mails and chat. Tracey is going to get married this friday and going for 2 weeks leave from tomrrow, so I came on the right timing! As everyone was at work, so I could now have long conversations with them, but they found a time to come to talk to me. They were specially interested in what I would do once I would be back to Japan. I told them my intension to make Japan better. Tracey made a phone calll to Sydney office and I could speak with Vanny. It'S been more than 2 years since I spoke with her! I could hook up with the network, so I could update the diaries in English. 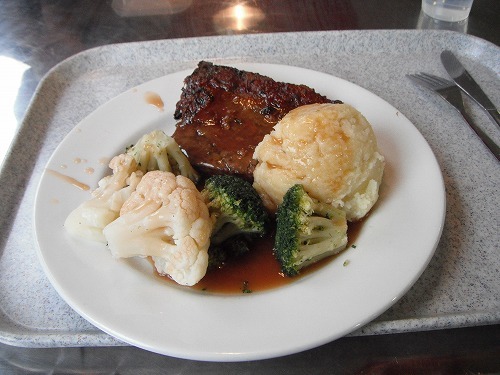 Marco took me to the canteen and I had meatloaf! It was already 2pm when I had lunch. Ruth finishes her work at 2pm, so I said good-bye to the team and let the office. 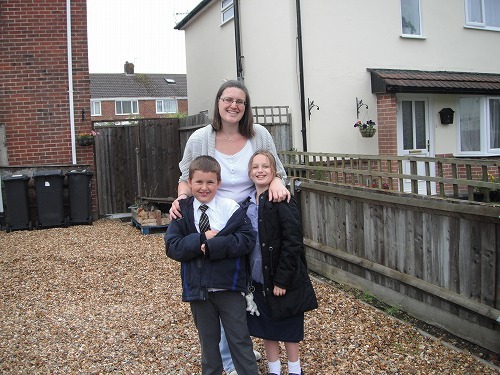 Back home, I started to gear up and Ruth went to pick up the children. Eleanor and Joshua came back and helped me out to get Esperanza out of the drive way (it was really hard to move her in deep gravels). I really could spend a good time there thanks to Ruth, Ben, Eleanor and Joshua! I will come back to see you guys one day! In the rain, I rode to Oxford on a highway. I got to Oxford around 5pm. In the city, I was telling myself "Leftside driving, leftside driving". Then I came to the house of Graeme and Zia I met @ Hostel Pachamama in Sucre Bolivia. We spend weeks together there. It's always good to catch up with friends I met during the trip! We talked for a while. There are 2 Chihuawas - Scooter and Indigo at home and they are so cute! We had very British dinner! 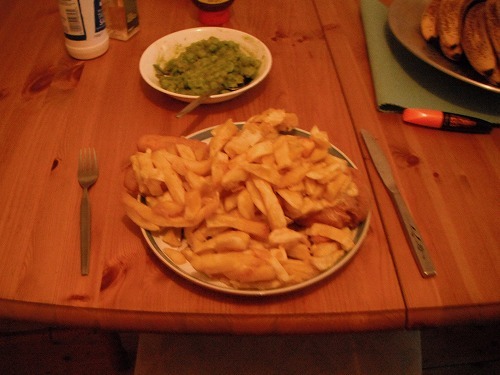 Fish & Chips and mashed peas! We talked till late after dinner. イギリスはやはり・・・雨 / It's raining in...UK! It was raining from the morning again... While it stopped raining, I put away my tent and got ready. 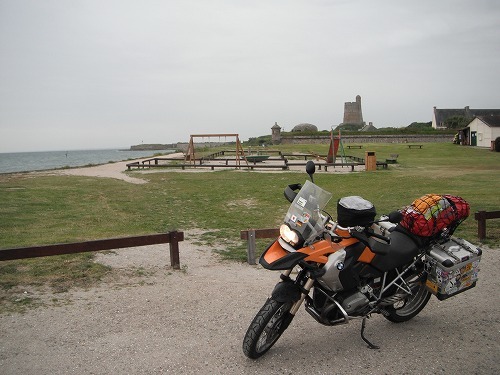 From the campground, I could see Hougue Castle, so I rode there. I needed to be quick as had to make to the ferry terminal by 10am. Just got closer to the castle, it started to rain hard. So I pulled over at the road side where I could have a good view of the castle and took a photo. And then I headed to the ferry terminal. I was quite wet by the time I got to the terminal. 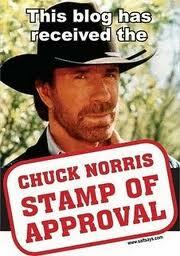 I went to the Briterny Ferry counter and got my ticket. It was before 9:30am. I sat on the launge and recharged the battery of my laptop while waiting. I went outside after 10am, and it was raining eaven harder... The there was a long queue of cars for checking in. I had to wait for a while in the rain. I could check in after 10:30am, and got through Immigration. Then I had to wait for boarding. 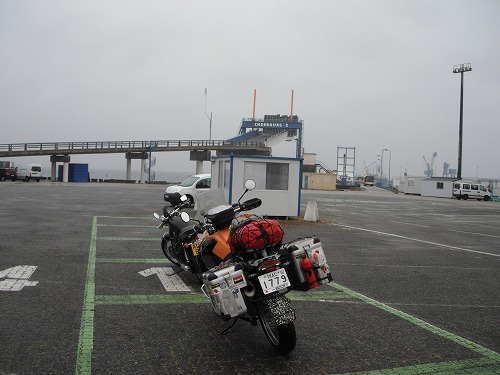 Onboard, I sat on a seat and I fell asleep before the ferry departed. I was naping for 30mins or so. The ferry left the horbour at 11:30am and was supposed to be in Pooe, UK by 1pm in UK time. So it would be 2hours 1/2 trip. After lunch, I went back napping. When I woke up, I could see Isle of Great Britain! I got off the ferry and stepped on my 32nd country to visit on this trip! 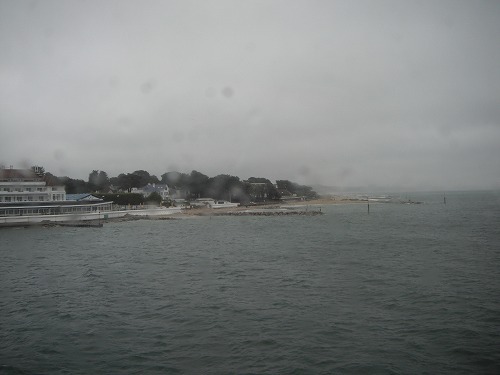 After went through immigration, I rode through Poole and headed to Bournemouth. I was going to meet my ex-colleague Ruth there. We had never met them before, but we used to communicate everyday when I was working in Sydney. She and her colleagues told me when I would be in UK, I had to visit them! It's more than 2 years and half since I quited the work. And finally I would be there! I went to a MacDonald's to go on line to get her address. Then I updated my diary which I could not log as my laptop battery got flat last night. 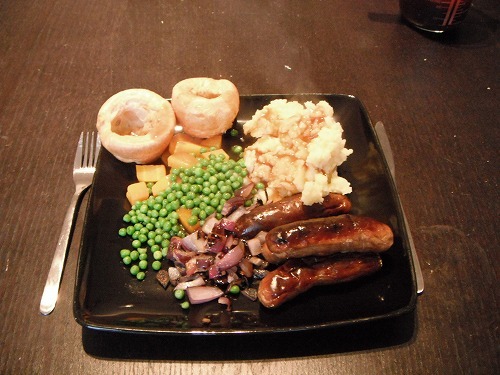 In the evening, her boy friend Ben came and we had "Bangers & Mash with Yorkshire puding" for diner. very very British. Who said "foods in UK are bad"? Actally they were really good! After diner, with Ruth and Ben, I talked about the trip. I will visit her office and meet my ex-colleagues. The most of team member are still there. So I am looking forward meeting them, finally! !